Business professionals use social media in several important ways including lead generation, customer engagement, and professional networking. Building your own professional network may or may not revolve around your business. In fact, it may revolve around your personal brand instead of your business. In either case, building a professional network is different than building a following of prospects and customers. Use the tips below to network with your peers, industry leaders, and other business professionals. Who are you? Before you start, figure out what you want to project to others. For example, if you’re the CEO of Acme, will your account be a company account focused only on your leadership at Acme or will it be focused on you personally as a business executive, professional speaker, or coach? There’s no right or wrong answer here, but your choice will dictate how you progress from here. Twitter. 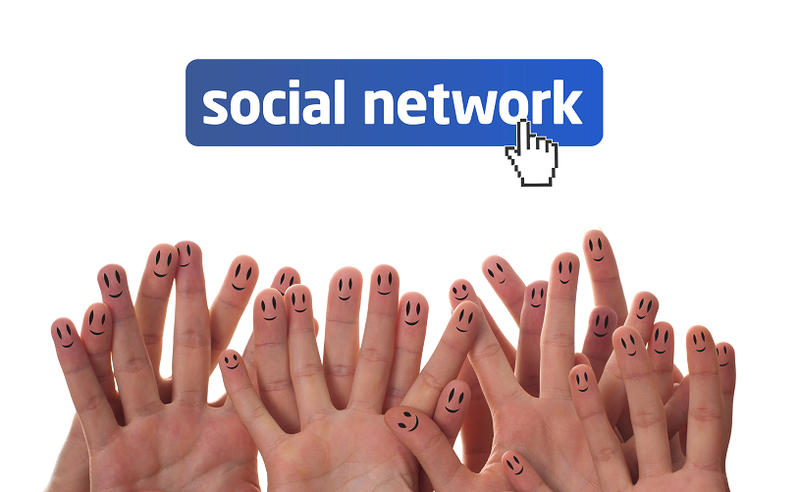 Each of these social networks has easy-to-use tools that make inviting others a simple matter. When interacting with people in person, don’t be shy about asking them to connect with you. Add your social network profile URL to your email signature line. This makes it easy for your contacts to connect with you. While you may have sent invitations via your social network’s invitation tool, not everyone responds. Some might procrastinate while others may not have received the email due to aggressive anti-spam filters. By including your URL in your signature line, you’ll make it easy for others to join you on the social network of your choice. Join professional groups. LinkedIn and Facebook both have active communities known as “groups” that are focused on specific topics. Whether you’re interested in connecting with physicians, sales managers, engineers, comedians, technology consultants, marketers, artists, or even fishermen, there’s likely a relevant group you can join. Add value to the conversation. Share interesting, relevant information and useful tips. Avoid the temptation to sell, sell, sell. By becoming a useful resource, you will build trust and credibility within the network. While you’re at it, ask thoughtful questions. Allow others to showcase their expertise. When you need products or services to solve problems of your own, seek solutions from your social network. Likewise, recommend the products and services of others in your social network to others whenever the opportunity arises. Your generosity will be appreciated and most likely reciprocated. Retweet and share. Retweeting on Twitter is a great way to share the expertise of others and get noticed at the same time. If you’re on LinkedIn or Facebook, spread the love by sharing others’ updates with your network. Use “People I May Know” on Facebook. Facebook’s People I May Know list includes friends of friends. If any of these people look like a good fit, introduce yourself or ask your mutual friend to introduce you. Building a professional network takes time, but it’s worth doing and it’s not overly difficult. Start today by picking and completing just one of the tips above. Do the same tomorrow, and the next day, and the next. Before you know it, you’ll have a solid professional network.